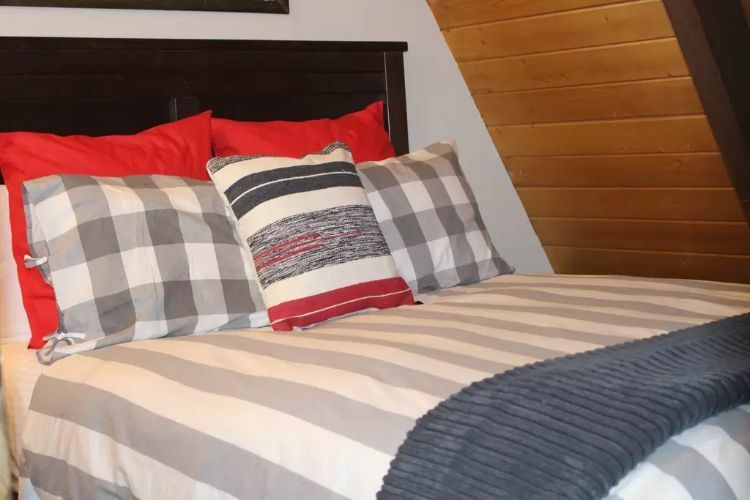 One of the things we love about A-frame cabins is their immediate impression. 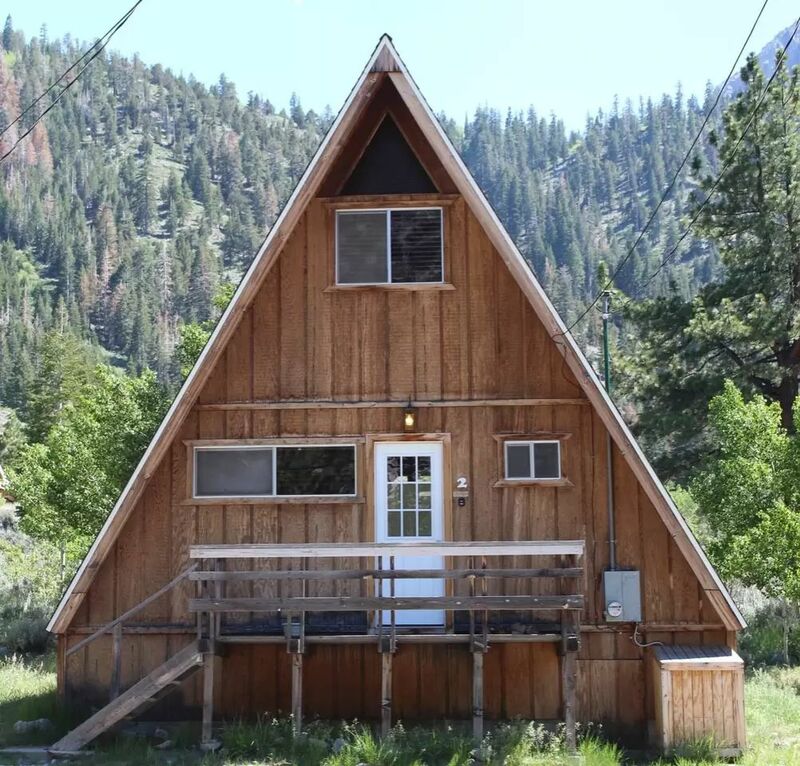 Upon approaching a rustic, triangular retreat, one is often filled with the excitement of camping as a youth. These quirky buildings invoke a fundamental happiness of outdoor life which is often mirrored by their stunning locations. 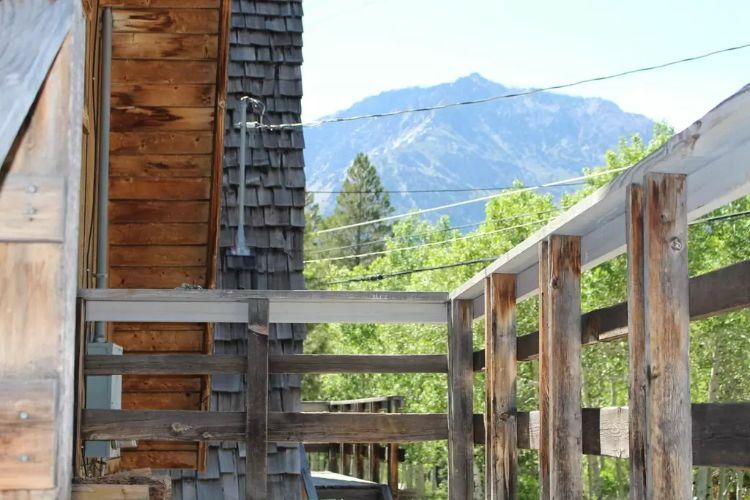 Today we are going to take a tour of a rustic A-frame cabin which is located in June Lake, CA. 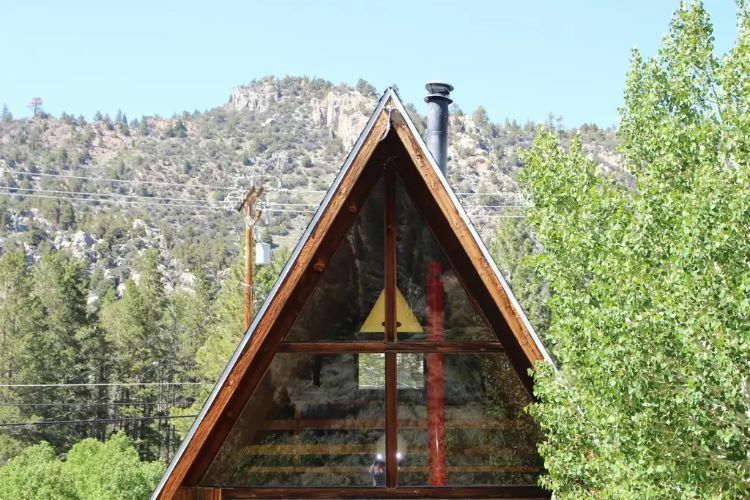 This attractive cabin - listed on Airbnb - is situated in the High Sierra Nevada Mountains with a gorgeous surround of tall trees and effortless access to hiking/cycling trails. Shall we take the tour? 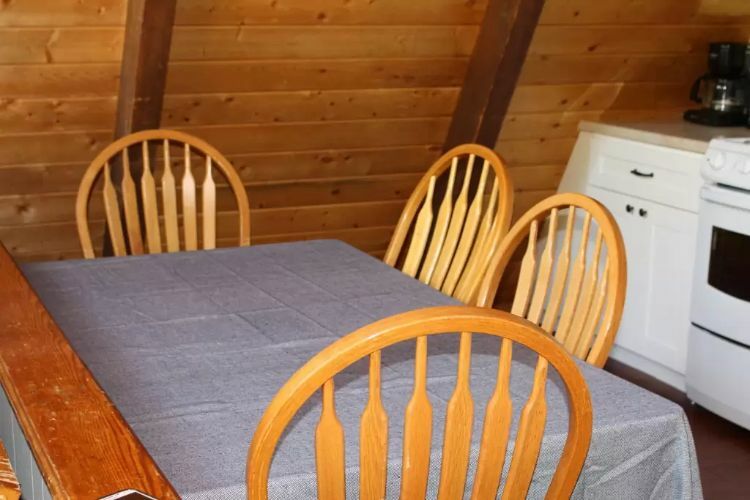 This quirky cabin has an attractive exterior of wood which is gently bedded into the forest surrounding. You just know that there lies an interesting floor plan beyond the front door.. Taking a look at the rear of the cabin, we discover a stunning wall of glass. This will serve to flood the home with natural light and offer relaxing views of the trees and mountains. 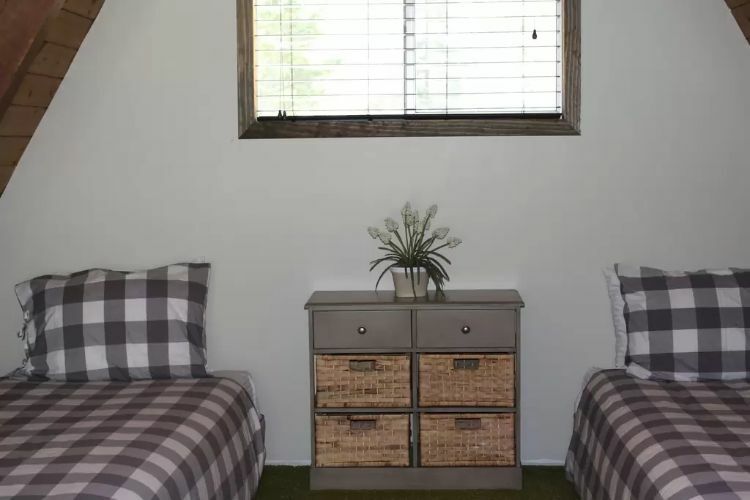 Inside the cabin, we find a well-proportioned floor plan with an open concept living room. 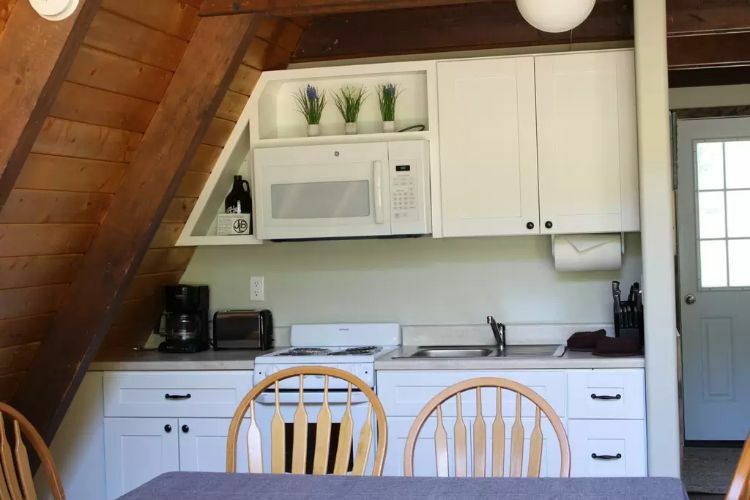 The attractive white kitchen clever works itself into the A-frame structure. 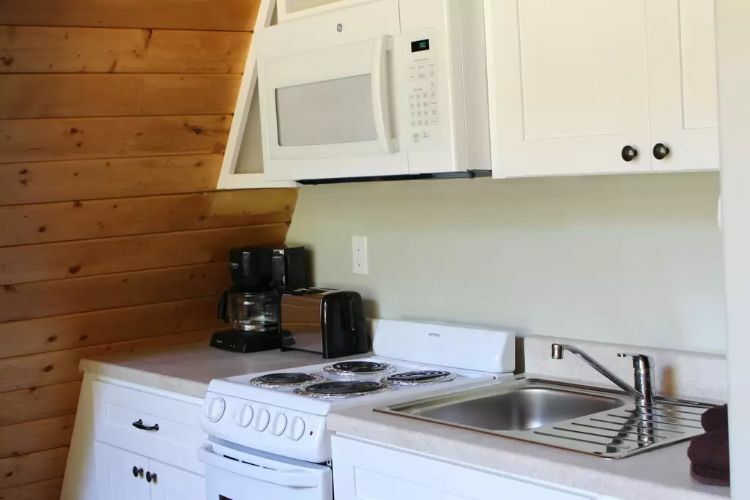 The relatively small kitchen space has ample room to prepare a meal and includes a full range of modern appliances. The kitchen is adjacent to a designated dining area with a table which can comfortably seat four people. 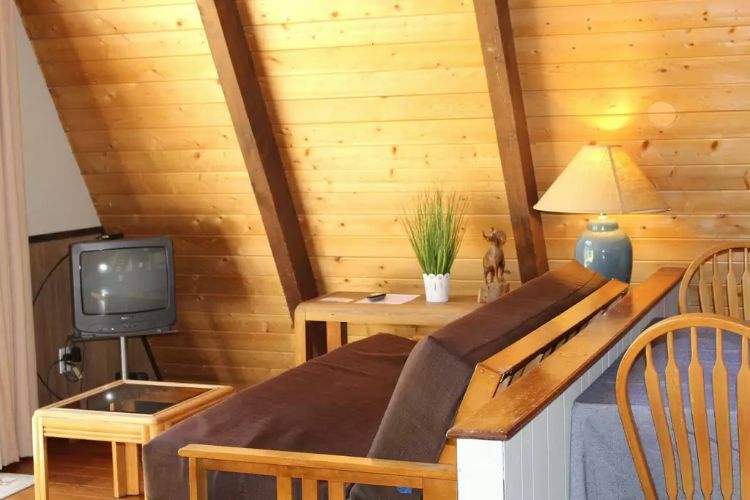 The living room in this A-frame cabin is a cozy space which benefits from direct access to the rear porch. 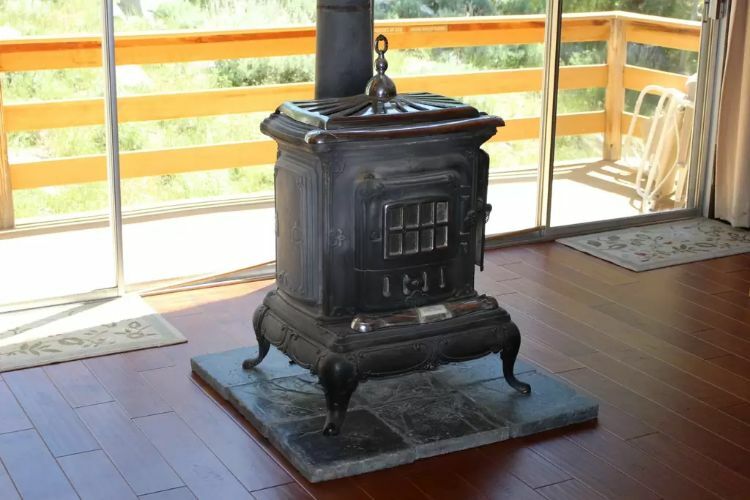 The cabin is easily heated by this beautifully antique wood-burning stove. 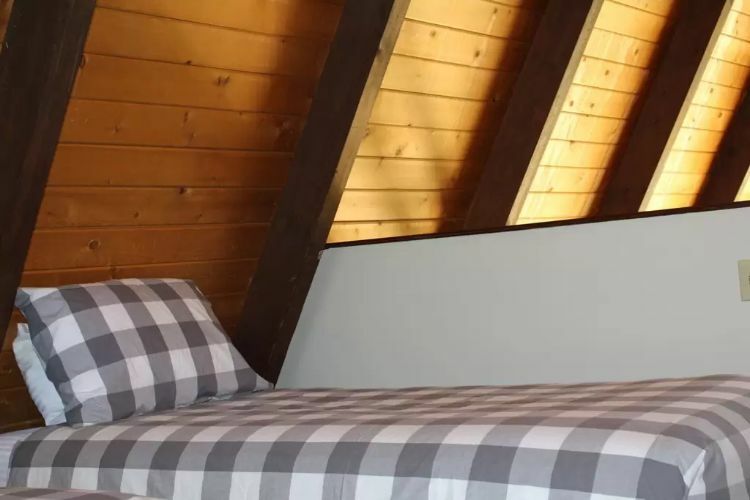 The house includes two bedrooms in the loft space, both benefiting from the headroom which A-frame structures create. 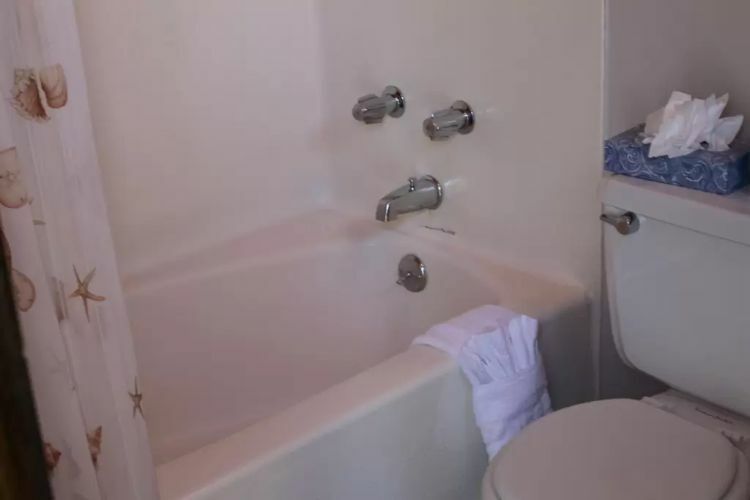 The cabin is completed with a full bathroom - which includes a bathtub.